Norman Hege Jewelers is the place to find high-quality fine watches in Rock Hill. We carry many of the top brands in fine watches, including Pulsar, Seiko, and Belair. We also provide watch service and watch repair. The elegant diamond collection of fine watches from Pulsar brings style and sophistication to any woman’s wardrobe with the quality assurance you always get from Pulsar. We also offer a nice selection of Seiko watches for men, including the Seiko Arctura kinetic watch, which is powered by a kinetic auto relay instead of a battery. Norman Hege Jewelers is Rock Hill’s source for Belair watches. Belair timepieces let you stand out from the crowd with many options for colored faces and unique band designs. Chronograph, diver, and pocket watches are also available. Models are available in ladies’, men’s, and unisex designs. Once you’ve made the decision to invest in a fine watch, you’ll want it to last for a long time. But eventually, you’ll need to find a reputable watch repair shop to keep it working at its best. In Rock Hill, there’s only one choice for watch repair: Norman Hege Jewelers. We perform all types of watch repairs, from the simplest to the most complex. No matter the type of watch you have, we can fix it. Our watch repair services are available for mechanical, quartz, solar, and automatic watches. Even if you didn’t buy your watch here, we welcome your business. We repair all brands, even those purchased in department stores. We offer affordable watch battery replacement for all watches. Have you ever had to drive to several places to get a battery replaced for one of these watches? 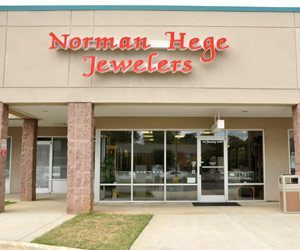 Save your self the time and trouble by stopping at Norman Hege Jewelers first. Is your watch band worn out or doesn’t fit any more? We also do band replacements, repairs, and sizing. 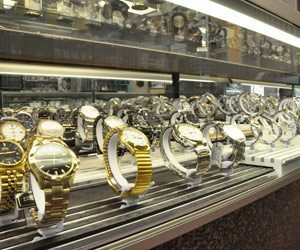 Many national jewelry stores will be happy to fix your watch. What they don’t tell you is that they have to send it off to a repair facility. That’s probably not what you want to hear when you need repairs on a fine watch. At Norman Hege Jewelers, all watch repairs are done on-site. We offer free estimates on all repairs so you can make an informed decision. Our turnaround time is very reasonable, too. Most repairs are completed within one or two weeks of your estimate approval and our receipt of any necessary parts. An added bonus is that our watch repair shop is nearby. You can stop by and see us any time, knowing that your watch is safe, secure, and in the hands of people who care. Visit us for watch repairs in the Fort Mill, Tega Cay, Lake Wylie, Clover, York, Lancaster, Chester, Great Falls, and South Charlotte areas of the Carolinas. All of our repairs are done in-house at our Rock Hill, SC location.